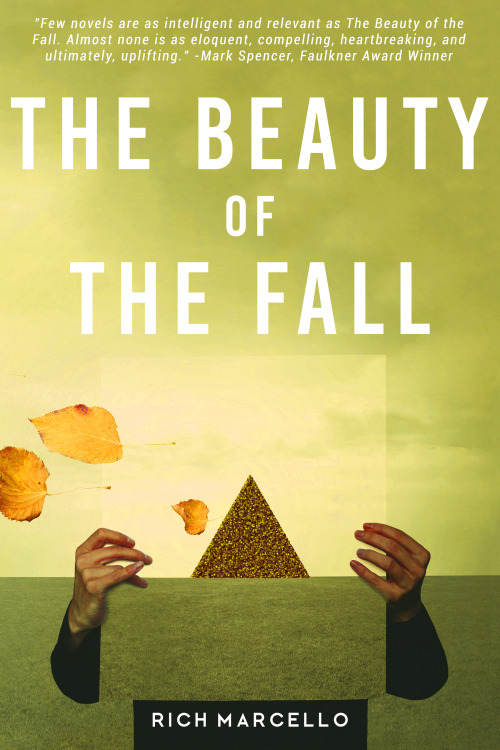 As some of you know, Langdon Street Press just released my new novel, The Beauty of the Fall. One of the subplots in the book is domestic violence. I spent the last year on the board of the Bridges Center for Sexual and Domestic Violence Support, and one of the main characters in the novel, Willow, is professionally based on Dawn Reams who runs the Bridges Center in Nashua, New Hampshire. She helped me a great deal as I was shaping the novel, and in particular, she focused on the DV passages in the book to ensure they were authentic and unflinching. That’s why I am going to give Bridges 25K in profits from the TBOTF and my other two novels, The Big Wide Calm and The Color of Home. One final thing. If you could forward this note to all of your friends, it would be greatly appreciated. Our fundraising is off to a good start, but we still have work to do. Thank you so much for your consideration. 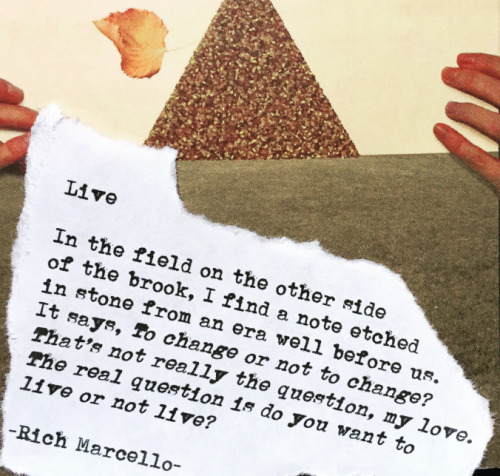 Newly-released by Langdon Street Press, Rich Marcello’s new novel will take you take you on a life-changing spiritual journey. 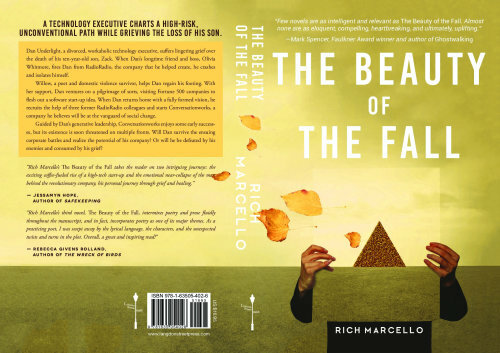 The Beauty of the Fall tackles emotionally transformative topics, explores father-son relationships, and working through grief. It explores social issues such as climate change, domestic violence, equality for women, and examines the internal struggle of corporate and political America against the people. The Beauty of the Fall suggests that in order to progress, we must communicate with each other and look at technology based solutions to many of our current social problems. As anyone who has read Rich’s work can tell you, his books deal with life’s big questions including love. The Beauty of the Fall is the third of three novels Rich has written about different kinds of love. 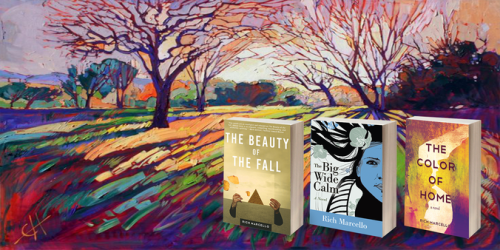 The Beauty of the Fall follows Dan Underlight, a divorced, workaholic technology executive, who suffers lingering grief over the death of his ten-year-old son, Zack. When Dan’s longtime friend and boss fires Dan from RadioRadio, the company that he helped create, he crashes and isolates himself. From the beginning of The Beauty of the Fall, it’s clear that Dan Underlight is in a downward spiral. Dan’s “fall” is something that he doesn’t seem to mind very much, however, because it is able to gain him insight. The book suggests that for some people falling is about getting back up, and for others, it’s completely breaking that allows them to be the person they want to become. Willow, a poet and domestic violence survivor and advocate, helps Dan regain his footing. With her support, Dan ventures on a pilgrimage of sorts, visiting Fortune 500 companies to flesh out a software start-up idea. When Dan returns home with a fully formed vision, he recruits the help of three former RadioRadio colleagues and starts Conversationworks, a company he believes will be at the vanguard of social change. Guided by Dan’s generative leadership, Conversationworks enjoys some early successes, but its existence is soon threatened on multiple fronts. Will Dan survive the ensuing corporate battles and realize the potential of his company? Or will he be defeated by his enemies and consumed by his grief? 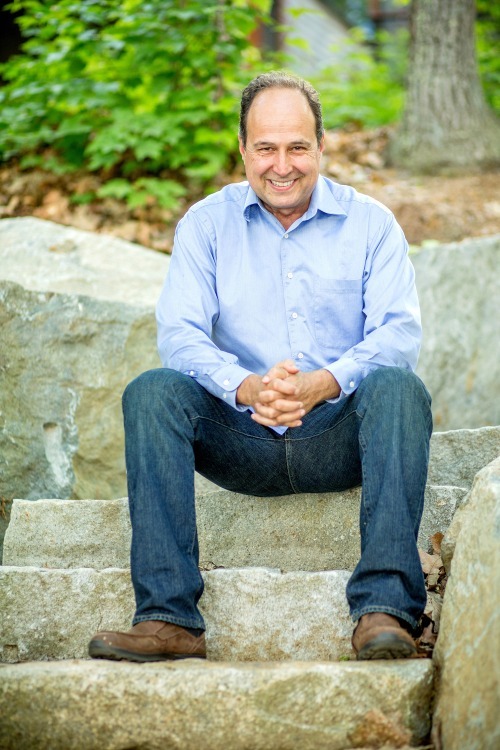 Breakaway Daily in-depth interview with author Rich Marcello. BREAKAWAY DAILY: It’s a pleasure to speak with you again Rich. We last got to have a conversation back in 2014 about your novel The Big Wide Calm, about a girl trying to make it in the music business. This time around your novel focuses on technology instead of music. Yet it still contains themes of love and loss. What was one of your main goals while writing The Beauty of the Fall? RICH: In The Beauty of the Fall (TBOTF), I set out to write about what it means to love in a wider sense of the word, to love in in community, and to do so even when the main character, Dan Underlight, has a lot of loss in his personal life. I was also interested in showing technology in a positive light, in this case as a way to bring people together to work on big problems. So much of what happens these days results in polarization between folks with good intentions. In TBOTF, I was interested in developing characters who strived to reduce polarization by valuing diversity and finding common ground. BREAKAWAY DAILY: What was one of your main goals when you wrote The Big Wide Calm? 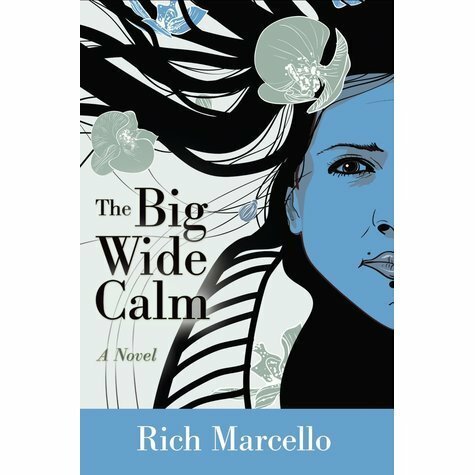 RICH: With The Big Wide Calm, one of the things I set out to do was write a female protagonist well. With Paige Plant, TBWC’s protagonist, I was able to give her a unique voice that carried through the story, and I love the way she turned out. I’m a firm believer that if you are going to be a writer that you need to write men and women equally as well, regardless of your gender, so I’m thankful Paige came to me when she did. In TBWC, I also wanted to show a deep, intimate, and loving relationship that was platonic instead of romantic, and I think by casting Paige alongside John Bustin, I achieved that goal as well. BREAKAWAY DAILY: When people are looking for a new author to read in this genre, they want to connect with someone who has been through the ringer and made a rebound. The way you talk about loss in The Beauty of the Fall, it feels like it comes from a very personal place. Fiction writers tend to draw on personal experience to write their characters, and you write it too well to not have life experience in it. Can you share a little bit about that, and tell us about how you’ve grown in some way like your main character, Dan Underlight? RICH: One of the main themes of the book is dealing with grief. As you point out, Dan goes through three losses early in the story, and, in a way, the whole story is about overcoming the loss of his son. By serving a broader goal––the formation and growth of his company, Conversationworks––he takes a few difficult steps toward healing. But he also takes a few steps backward. I guess it’s fair to say Dan learns how to generate love in a broad community even though he’s not sure he deserves love himself. So I would say to your readers, the best way to manage grief is to go through it, and the best way to go through it is to serve a higher goal. And, I would also say, the hardest part of going through a great loss is to accept that you deserve to love again. While Dan and I are different in many ways, I have had a lot of loss in my life, and over a long period of time, I’ve fully grieved and learned what it means to surrender to life instead of constantly resisting it. When I finally did surrender, I was able to move on and fully love again. BREAKAWAY DAILY: While The Beauty of the Fall is certainly Dan’s story, I could argue that Willow is as central to the story as Dan is. In a way, it’s also her story. What can you tell us about Willow? 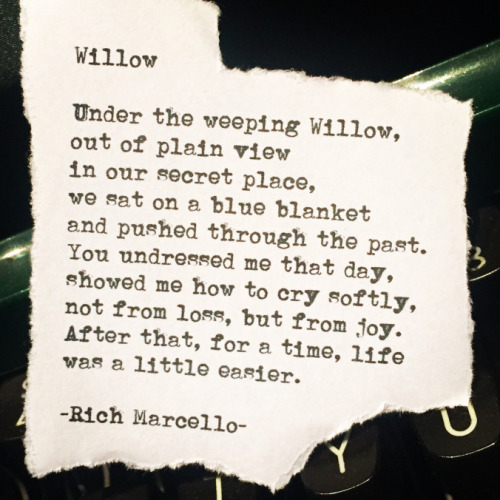 RICH: Dan really loves Willow, and I think without her influence throughout the story, and her passion for helping women, Converstationworks wouldn’t have been the company it turned out to be. I spent the last year on the board of the Bridges Center for sexual and domestic violence, and Willow is professionally based on Dawn Reams who runs the Bridges Center. Dawn helped me a great deal as I was shaping the novel, and in particular, she focused on the domestic violence passages in the book to ensure they were authentic and unflinching. That’s why I am going to give Bridges 25K in profits from the book. BREAKAWAY DAILY: Chakra mists and Buddha boards are often mentioned in The Beauty of the Fall. In the acknowledgments, you thank someone for their help with these that were therapy techniques you discussed in the book during Dan’s therapy sessions. What are your thoughts on the chakra mists and Buddha boards? What is your experience with those? RICH: One of the things I wanted to do with TBOTF was to write authentic and colorful therapy sessions because therapy is one of the most generative ways to go through grief. One of my colleagues is an incredibly talented therapist, and she was kind enough to consult on TBOTF. All of the therapy sessions, including the ones with chakra mists and Buddha boards, are things we talked about or things I experienced first hand in working with her. I’m really proud of those scenes because I truly do believe they are authentic and colorful. With that said, much of the credit goes to Amy. BREAKAWAY DAILY: “What would the world be like if connections to something larger, something meaningful, happened all of the time?” This is the question Dan thinks in the book, and is the central question of the entire novel. I now want to propose this question to you Rich. RICH: I think the world has largely lost its way and we are no longer collectively working to solve our most difficult problems. This is, in part, because we’ve splintered into intransigent factions who not only refuse to see larger meaning but often actively work to subvert it. If you look at the examples presented in the book––climate change, domestic violence, and equality for women––it’s clear we have a lot of work to do. So, in a Conversationsworks based world, folks would connect to anything larger that they felt passionate about and that needed to fundamentally change. Imagine people working every day on millions of different problems, all for the common good. If we ever achieved such a lofty goal, we would have a true democracy for the people. BREAKAWAY DAILY: I want to discuss one of your characters, Jack the millennial. You talk about what he’d do as king for a day (main character’s concept question). He says he’d set up free healthcare, let everyone work doing what they love, etc. Then at around page 140, he jacks (pun intended) the main character for his car, cash, and phone. I could smell the metaphor. Would I be correct in that assumption? Is Jack meant to be a metaphor for the realities of today’s millennial? RICH: I think it’s fair to say that I wrote Jack as a character who is similar to many other folks his age, both in terms of his idealism and his inability to find his footing in traditional ways. Most millennials would not make the explicit choice he made in the book, but I thought it would be interesting to show his idealism and his cynicism in the same scene, and you are correct, my hope was that it would resonate with millennials. 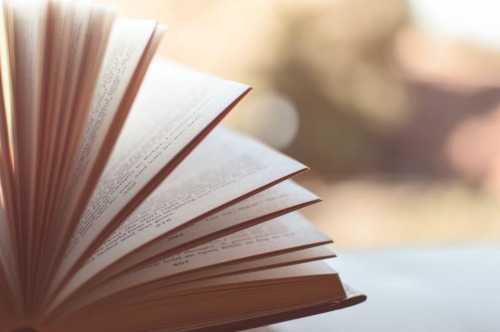 BREAKAWAY DAILY: Although the tone for the majority of the book is non-political, the book reflects the political climate and is rife with political burnout. Can you speak a bit about that, and the Detroit water crisis that is also mentioned. RICH: You are right, the tone of the book is largely non-political. With that said, given the magnitude of what Dan was trying to accomplish with Conversationworks, I thought I needed to show a couple of difficult use cases, and the cases I chose are political. As I mentioned earlier, the main examples in the book are climate change, domestic violence, and equality for women, but I did include a bit on Detriot’s water crisis. When I first heard the water story, I couldn’t believe it was true. How could Americans deny their citizens water? But it turned out to be completely true, and it also turned out to fit well into Dan’s search for meaning at the start of the book. That’s why I decided to include it. BREAKAWAY DAILY: What are your thoughts on the recent election and its outcome? RICH: On the election, I’ve been mostly thinking about it from the perspective of kindness and compassion. What’s the kindest and most compassionate way of understanding what happened? I’m not sure I’ve figured it all out yet, but I have settled on a few points. First, if Conversationsworks existed for this election, I’m not sure if it would have changed the result. Maybe. I am sure it would have positively changed the way citizens interacted and would have provided a place where those citizens could respectfully come together and discuss issues without fear of fake news or fake information. That’s one of the central tenets of Conversationsworks ––accurate and honest information is used in conversation to help folks who are on the opposite ends of the spectrum on an issue take a step closer. Second, the election did surface a group of Americans who didn’t feel seen or heard. Anytime a society stops seeing a whole group of its people, it’s a major failure of that society. America failed to see many of its people these last thirty years as globalization, population growth, and mechanization (think robots) eliminated many good paying jobs in this country. With that said, unfortunately, the surfacing was accomplished through divisive, hateful, racist, misogynist, and xenophobic rhetoric which has now, rightfully, alienated over fifty percent of the American population. Worse, it’s made many of those same folks fear for their rights. It’s the first time in the modern history of America that hate has won out in a major election. Others like Barry Goldwater and Geroge Wallace ran on hate, but thankfully they lost. And so America has taken a giant step backward in terms of kindness and compassion, at least for now. That’s incredibly sad, but also an opportunity to learn and grow, if we collectively flip it around. Third, and this is an issue much wider than America, and one that I spent some time on in The Beauty of the Fall. Many scientists, poets, novelists, and philosophers believe, as I do, that we are at a very dangerous point in history. Some of these folks think we have one hundred years left until billions of people die from climate change. The time to act is now, and the Paris Climate Accord was just a starting point. Unfortunately, with this election, America seems to be moving away from what 97% of the world’s scientists believe, namely that climate change is an existential threat. This simple fact should be enough to mobilize folks around America and the world to pressure the US into accepting the mainstream scientific view. I’ll say one more thing about the election. I always wanted to live in the sixties, and I believe, as a result of the election, we’ve entered a phase of activism and protest that will dwarf the work done in that decade. Sometimes the world needs an event like the recent election to wake up a sleeping giant. I am hopeful, despite all of our problems, that we will come together in the coming years. I’m also hopeful that someday someone will build something like Conversationworks, and when they do, it will change the world for the better. BREAKAWAY DAILY: What are you working on next? RICH: I’m working on my fourth novel, The Latecomers, which is about aging in a world that in many ways devalues age. It’s about how a few folks try to build a community that values age and wisdom. I’m one-hundred-and-forty pages into that novel and hope to have it out in a couple of years. The Beauty of the Fall is packed with so much more to discover. Read and savor The Beauty of the Fall. It will change you life. Available from Amazon & Barnes and Noble. Ever since college, Leonard Cohen has been my favorite singer/songwriter/poet. In almost every aspect of my life – writing, music, poetry, spirituality – he has been one of my teachers, and I’m thankful for what I’ve learned from him. He passed away last night at 82. Here’s his final interview.